Essays by Nam June Paik, John G. Hanhardt, Caitlin Jones and Anja Osswald. In 1974, WNET-Channel 13 in New York City broadcast Nam June Paik's Global Groove, a whirlwind, multi-media piece and one of the most influential works of video art. The program took a wide look at culture and transformed the WNET broadcast studio into an experimental venue for dancers, musicians, and performance artists. Weaved into Global Groove were films and videotapes by other artists, interviews and voiceovers, pop music, appropriated commercials, and broadcast breaks. 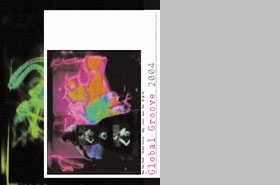 In celebration of the 30th anniversary of the broadcast, Global Groove 2004 celebrates Paik's work on and for television, documenting and interpreting his key television projects. The included essays survey and interpret the distinctive contribution Paik made to remaking video and television into an artist's medium, and examine Paik's historical importance and relevance to new developments in internet art. 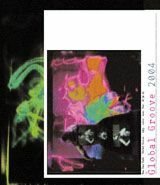 In-depth analysis and photo essays reveal the range of Paik's transformation of video, including his experiments in the 1960s with the Paik-Abe video synthesizer; his seminal videotapes for broadcast: Global Groove, Suite 212, Guadalcanal Requiem, Lake Placid 80, Living with the Living Theater; and his global television productions: Good Morning, Mr. Orwell, Bye Bye Kipling, Wrap Around the World. Additionally, a selection of the artist's seminal writings on the future of television is featured.